Covestro, one of the leading polymer companies in the world has received an innovation award recently from the German government and industry. 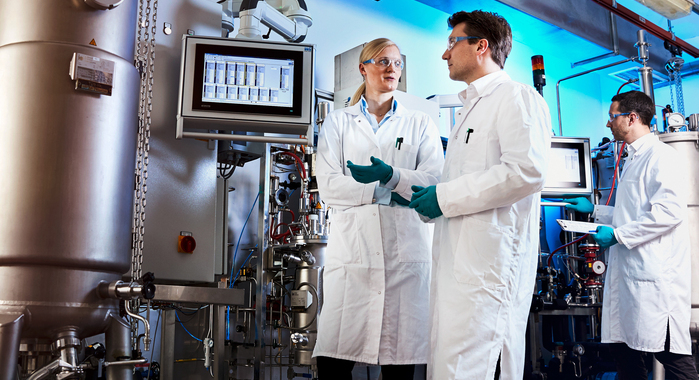 An interdisciplinary team by the company’s researcher, Dr. Gernot Jäger developed a new sustainable process for making plastics (aniline) from plants instead of crude oil. Covestro collaborated on the project with leading players in the field of science and industry and became one of the 100 winners of a contest named ‘Excellent Landmarks in the Land of Ideas’ held across Germany. The contest was meant to highlight the excellence of Germany as a business location and has been held from 2013. For the 2018 edition of the contest, 1,500 entries were submitted and from these, the organizers chose 100 winners who they thought showcased the concept of “how forward-looking innovations are created through experimentation, curiosity and the courage to rethink”. Commenting on the award, Covestro CEO Dr. Markus Steilemann said that it will spur Covestro to contribute to greater sustainability with innovative products, processes and solutions in order to make the world a brighter place. He went on to say that the development of the process to make bioaniline was clearly a joint effort and highlighted the importance of cooperation in in chemistry and industry as a whole. Covestro collaborated on the project with Bayer, the CAT Catalytic Center in Aachen and the University of Stuttgart. The completely new process that the team developed to extract aniline from plant biomass combines biotechnology and chemistry. Till now aniline, which serves as the starting point for making many products like foam insulation products was obtained exclusively from scarce and non-renewable raw materials like crude oil. The team successfully tested the new production process in the laboratory and in the pilot plants, and Covestro is now seeking to develop the technology further. Ultimately, the goal is to produce plant based aniline on an industrial scale.